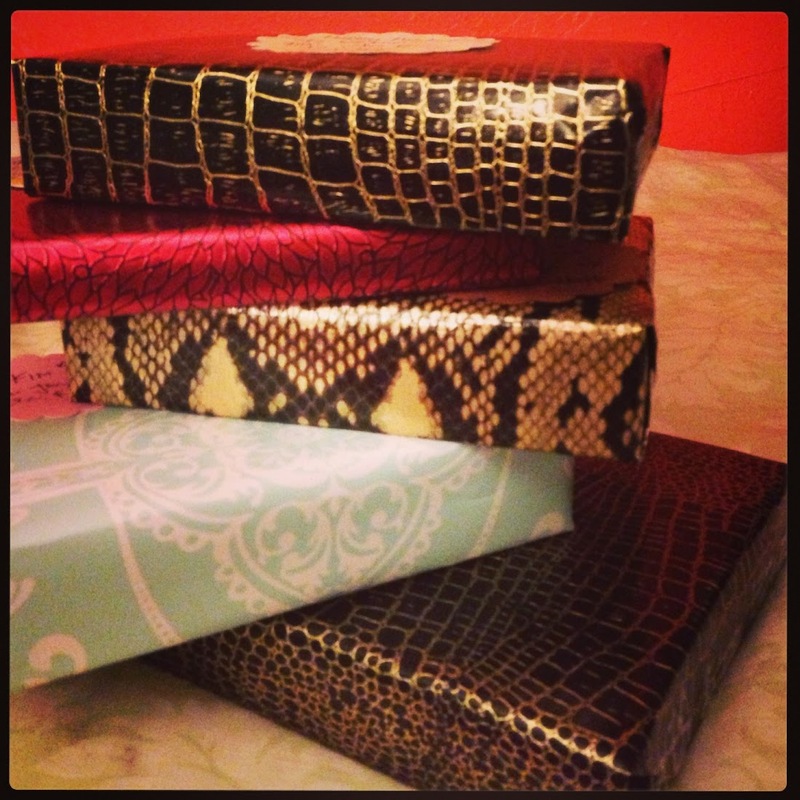 OOH FANCY THAT: .. meow .. 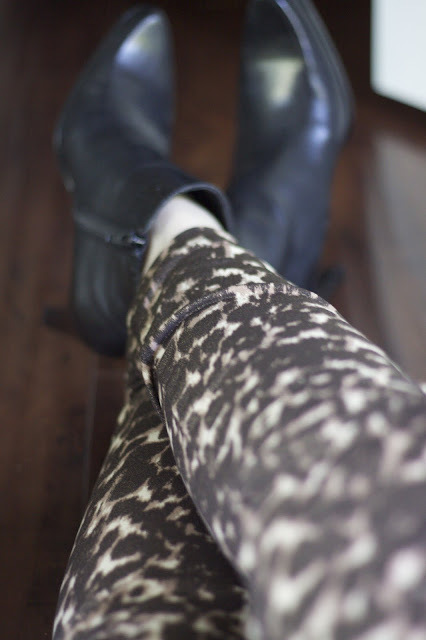 I am a fan of the animal print. I know it can look cheap and tarty at times, but if done right, it can also be the epitome of luxury and edgy sophistication. 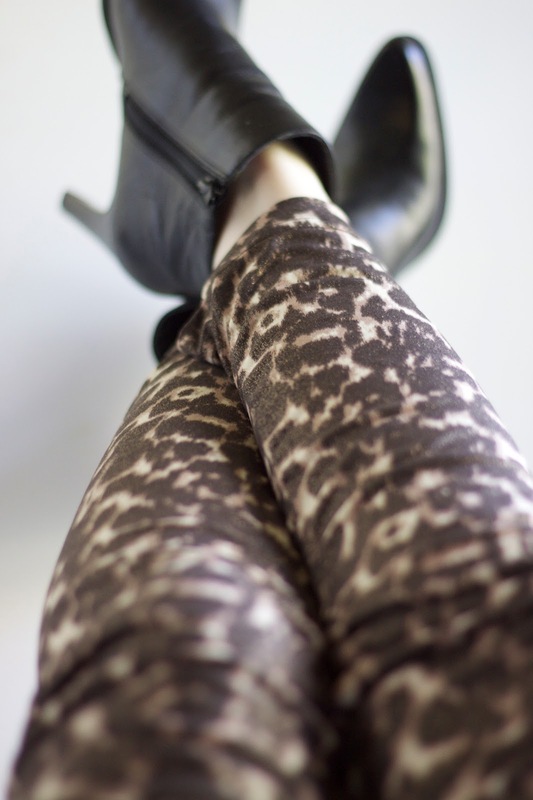 I want to show you a glimpse of my favorite leopard print pants! 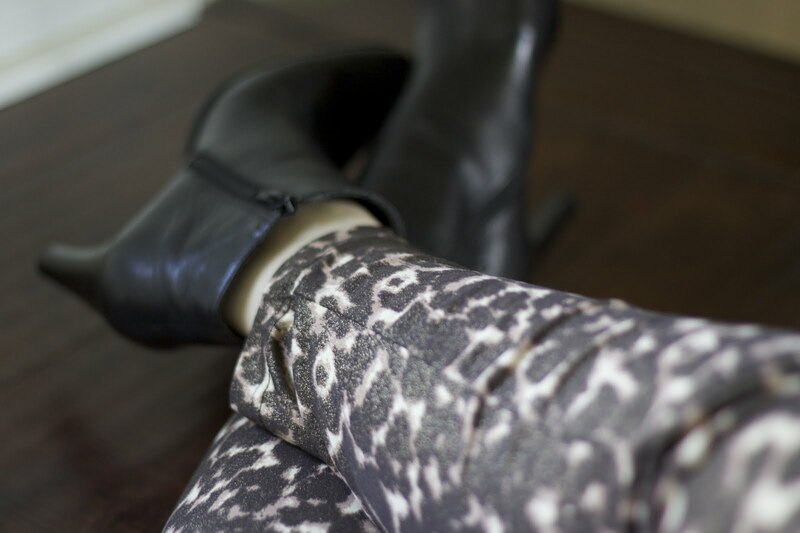 Okay, to be honest, they're my only pair of leopard pants, but even if I had more than one pair, I'm sure these would still be my favorite. For one, they're sparkly (not too crazy, but a subtle iridescence), and I just can't deny my sparkles. Second, they are the perfect ankle length, so they don't take themselves too seriously. Third, they are ultra comfortable and stretchy. Lastly, they are so versatile that they look amazing with ankle boots, ballet flats, or some kicky heels/sandals. Trust me, I've tried these pants on with all that and more! Now that you've had a peek, how would you style these pants for day or night?